In 1980, John Lennon composed and recorded the song “Beautiful Boy” for his and Yoko Ono’s son, Sean. It begins with John comforting his son from what is seemingly a nightmare and progresses into John passionately describing the love he has for his son and the joy Sean gave him. I like men who are not ashamed to show their love for their kids. 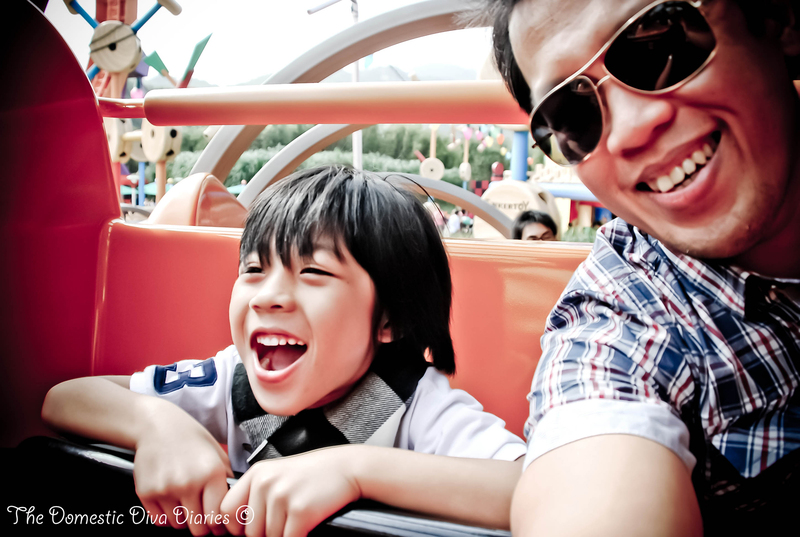 Dear Hubby is head over heels with the Little Boy and relatively, the Little Boy is crazy in love with him. They have an amazing connection, a love affair! The kind that makes them forget that I’m in the room every time they’re together. Nope, I was never jealous. This special bond between them gave me more sleeping hours when as a baby, Little Boy would wake up in the wee hours asking his Papa for milk :). Their common interest in rough play has also saved me from some wounds and bruises. On this special day I’d like to pay tribute to my son’s father, Dear Hubby, who has unselfish and re-assuring love for our son and this family. Happy Father’s Day, Pappy, and to all the great fathers out there!